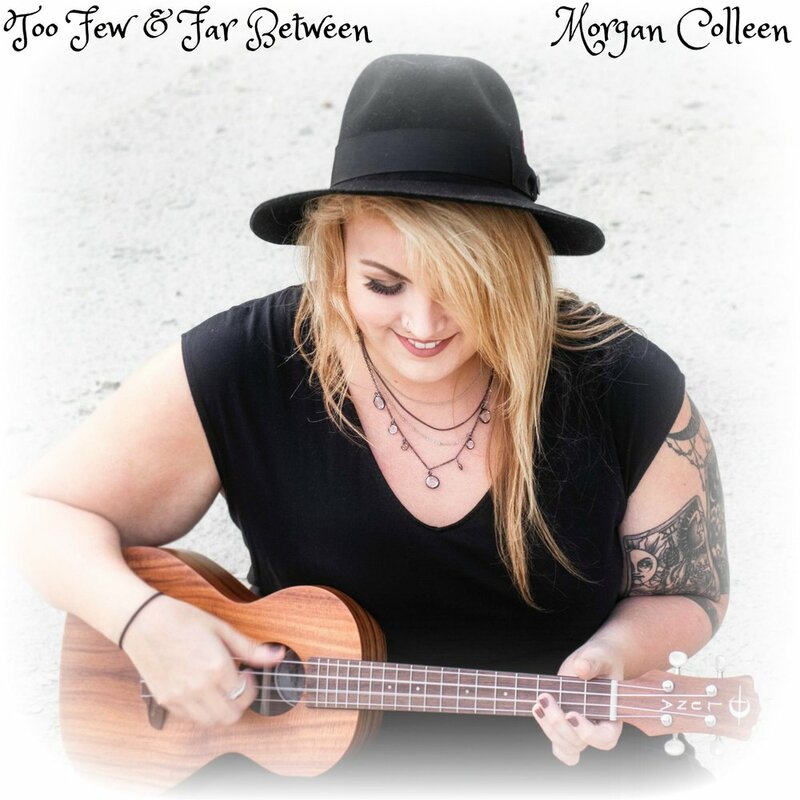 SINGER/SONGWRITER, MORGAN COLLEEN RELEASES EP "TOO FEW & FAR BETWEEN"
NASHVILLE, Tenn. (March 22nd, 2019) - Morgan Colleen released her freshman EP "Too Far & Far Between on March 15th, 2019. Recorded in Nashville with her Producer, Justine Blazer the five-song EP is a yellow brick road of wonder for indie artists celebrating the ukulele along with clever lyrics and music. You can stream the entire release here. Morgan co-wrote songs on the EP with her writing partner Allie Keck (Nashville, TN). Allie says "Writing with Morgan is like having coffee or a beer with your best girlfriend. We talk about boys, life, boys, and the lyrics and compositions just come together. It's weird to say this but writing with Morgan is not work, it is just easy." Morgan calls herself an accidental tourist in the music industry. Discovered by her Manager, Jill Pavel (Victory Music Buzz, LLC) in 2017 on social media, she quickly found herself in uncharted territory. Pavel states, "Someone sent me a video of Morgan playing keys and singing an original song. Her distinctive vibrato and soothing vocal delivery had me at hello. I do not seek out talent for my label, but in Morgan's case I knew I was listening to something unique and special." Her song haunted me for weeks. It was a no brainer signing her into development and then bringing her onto our talent roster. I think the world is ready to embrace Morgan and all of her unique, quirky and wonderous artistry that she brings to every track on her EP." You can connect with Morgan Colleen by visiting www.morgancolleen.com and following her journey on Facebook and Instagram.